Venezuela got it's name from traveler Amerigo Vespucci, who thought the many houses on water reminded him of Venice, Italy. 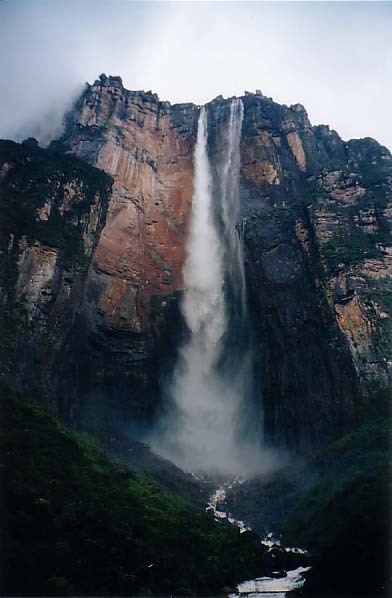 It is the site of Angel Falls, the highest waterfall in the world. Suriname was originally a Dutch colony, and is the only country in North and South America where Dutch is the official language. Guyana is the only South American country where the official language is English. The original land called Guiana was much larger and included Guyana, Suriname, French Guiana, and parts of Colombia, Venezuela and Brazil. French Guiana is a territory controlled by France, and it has the Guiana Space Centre there, the place that Europe usually uses to launch rockets into outer space.